In February 2019, The Green New Deal Resolution was presented to Congress laying out a series of goals that should not just help the USA fight climate change but also overhaul the whole US economy. The Green New Deal programme aims to transform the US economy by “tackling the economic inequality, injustice, and the threats of climate change”. The program is bold and sets necessary and highly ambitious goals which realization should make the US become a country whose economy will be based on environmental sustainability and economic stability. Yet, the Green New Deal has not been so welcomed due to its “unrealistic” socio-economic program and it is left to be seen whether its realization will be achieved. According to an article published by Bloomberg, the plan is unaffordable and its realization would drive the US into hyperinflation and economic turmoil. On the other hand, the renowned economist and professor Jeffrey Sachs in his article in CNN International, claims that ’’the Green New Deal agenda is both feasible and affordable and this will become clear as the agenda is turned into specific legislation for energy, health care, higher education, and more’’. Moreover, he criticizes the opposed opinions which, he claims, are coming from “the right wing and corporate lobbies”. 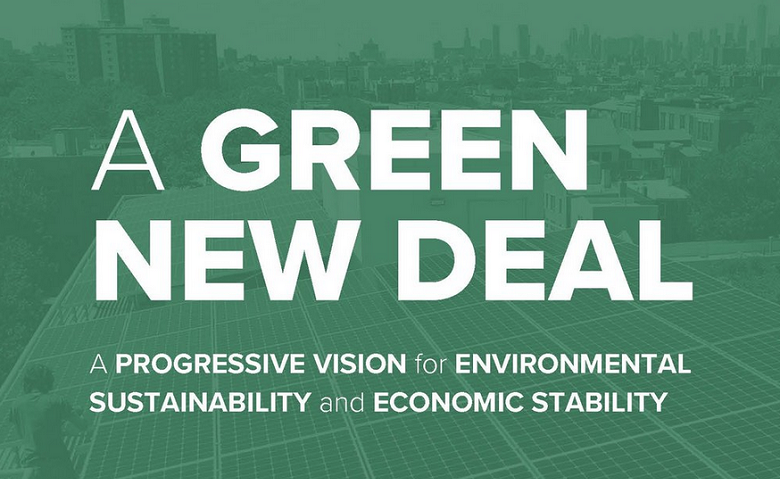 The Green New Deal apparently represents the whole new idea of how the US economy and society should look like in the 21st century and its adoption and implementation will ask for a political will to turn the country in a more socially just and green energy-based economy. Will the US succeed in carrying out this plan? It is left to be seen.